Every year, the U.S. Federal Government allocates $500 billion for contracts. They also have the goal of spending 3% of this sum on service-disabled veteran-owned small businesses (SDVOSB). When opportunities designated to these set-asides are posted, you will get moved to the front of the line for bidding. 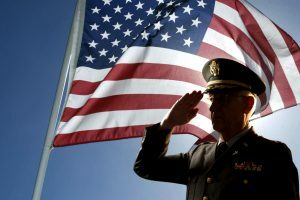 Although not a set-aside, the veteran-owned small business (VOSB) certification has its own array of benefits. This includes access to resources offered by the Office of Veterans Business Development (OVBD). This includes exclusive funding opportunities and entrepreneurship training programs. If you are a veteran business owner, registering in the Vendor Information Pages (VIP) is one of the best investments you can make. VetBiz, CVE, VOSB, SDVOSB: What are they? VetBiz is the online web portal that hosts the Vendor Information Pages (VIP) database - the searchable list of businesses who can participate in the veteran-owned business set-aside program. The VetBiz is maintained by the US Department of Veterans Affairs. The CVE verifies veteran-owned and service-disabled veteran-owned businesses to be included the Vendor Information Pages VetBiz Database. Evaluation is primarily based on the requirements found in Title 38 Code of Federal Regulations (CFR) Part 74. When you have a contract with the Department of Defense, this is the only way that you would be able to submit your invoice. Before iRAPT, the DoD used WAWF. A small business that is at least 51% owned by veterans. The management and daily operations of the must be controlled by one or more veterans and the business must qualify as "small" for federal business size standard purposes. 3% may sound small, but that leaves at least $40 billion going towards SDVOSB every year. From just a business standpoint alone, there are many advantages when it comes to contracting with the federal government, especially if you qualify for a set-aside. Has the funds the pay you. Spends more during a recession. Seeks to continue business relationships. As mentioned before, when a solicitation with a VOSB/SDVOSB designation gets posted, you will get to be the first in line. The only other bidders will be businesses with the same certification, but a lot of your competition is already out of the way. Also, before posting an opportunity, the government posts notices for market research (sources sought). In this phase, you can add yourself on the interested vendor list and the procurement officer might designate the set-aside for an eventual solicitation. Why Should I Sign Up as a VOSB? As mentioned before, VOSB isn’t a set-side, but there are plenty of benefits. For starters, you will have exclusive access different types of SBA programs for veterans. This includes customized curriculums, in-person classes, and online courses that help train veterans to succeed in business. There are also veteran-exclusive loans they issue as well. Another benefit is that you gain a network with the VOSB certification. In government contracting, many veteran owned businesses support each other. Some primes will exclusively consider veteran owned small business for subcontracting opportunities. They can trust that you’re a veteran because the U.S. government backs your claim with the seal and certification. Be considered a small business under SBA standards. 51% of your business must be controlled by a veteran or service-disabled veteran. A veteran or service disabled veteran must be involved in managing day-to-day operations and making long-term decisions. For service-disabled veterans, their disability must be connected with their tenure in the military. This is to be determined by Veteran’s Affairs or the Department of Defense. When it comes to punching in the numbers, you hire an accountant. When it comes to handling taxes or legal matters, you hire an attorney. The same philosophy applies to government contracting. We’ve worked with thousands of businesses, getting them properly set-up in the federal market place. As a business owner, you already have a lot of responsibilities and obligations to meet. Making mistakes in this phase can bar you from opportunities that are perfect for your business. Don’t let these unnecessary delays keep you from this great asset. Time is money. Leave it to us to get the job done right. A VOSB or SDVOSB certification takes about 90 days to process. Afterwards, it will remain valid for up to 3 years. As for your SAM registration, that will remain active for a year. The length of time that it takes to process the registration has varied greatly due to changes in regulations.